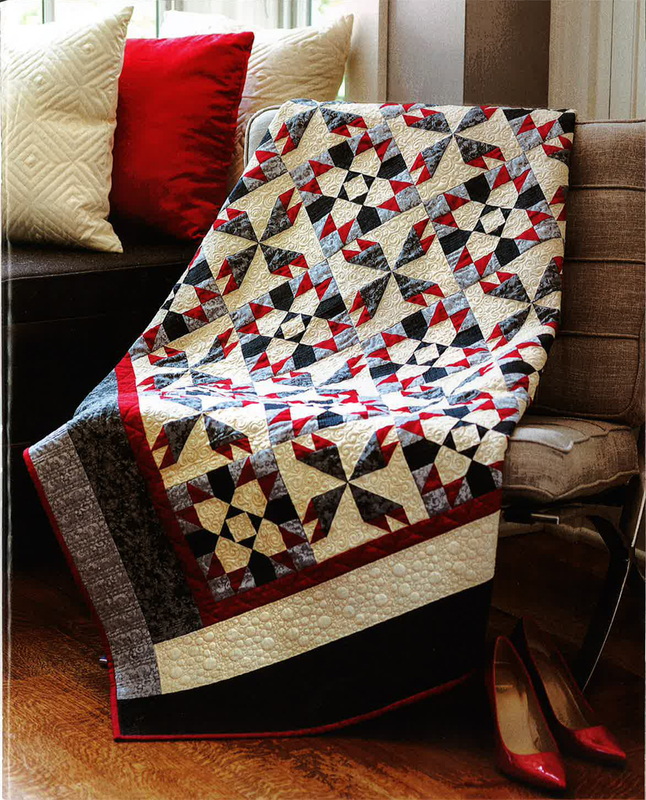 Featured in the November/December 2013 Issue of Fons & Porter Love of Quilting. Elegant throw perfect for any decor, in timeless colors of red, black, grey & cream. 52 1/2" x 71 1/2"
Kit includes the fabrics for the top, BACK and binding. Pattern appears in the latest issue of Fons & Porter Love of Quilting and is not included in this fabric bundle.